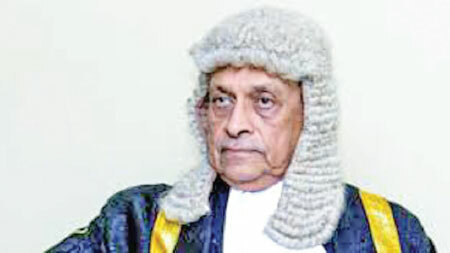 Speaker Karu Jayasuriya, condoling the death of two Sri Lankan Army personnel engaged in UN peacekeeping operation in Mali, expressed his respect for the sacrifices they made in the name of world peace. The Speaker said the two fallen soldiers, Major H.W.D. Jayawickrama and Sergeant S. Wijekumara, were a great honour to the country. The Speaker chaired a special discussion at the Parliamentary complex yesterday to resolve the practical problems in deploying Sri Lankan Army personnel, nurses and doctors for UN peacekeeping missions. UN Resident Coordinator and UNDP Resident Representative in Sri Lanka Hanaa Singer, Human Rights Commission members along with its Chairperson Dr. Deepika Udagama, Additional Secretaries to the Defence Ministry and Foreign Affairs Ministry, Army Commander Lieutenant General Mahesh Senanayake and the Sri Lanka Army UN Peacekeeping Division Head took part in the meeting. The Speaker’s Media Division issuing a press statement said the delay in deployment at the UN peacekeeping missions was discussed in length at the meeting. The Speaker pointed out the importance of expediting the selection process by Sri Lankan authorities and requested the UN Resident Coordinator to take steps to deploy them without a delay. The UN resident coordinator admired the intervention of the Human Rights Commission of Sri Lanka in the UN peacekeeping affairs. While assuring compensation for the families of the two fallen soldiers, she expressed her intention to attend their funerals.